The moon during total lunar eclipse (Chandra Grahan) will appear deep red in colour, also called the blood moon. The total phase of this lunar eclipse, also known as a 'Blood Moon'. The world will witness century's longest total lunar eclipse on Friday night. 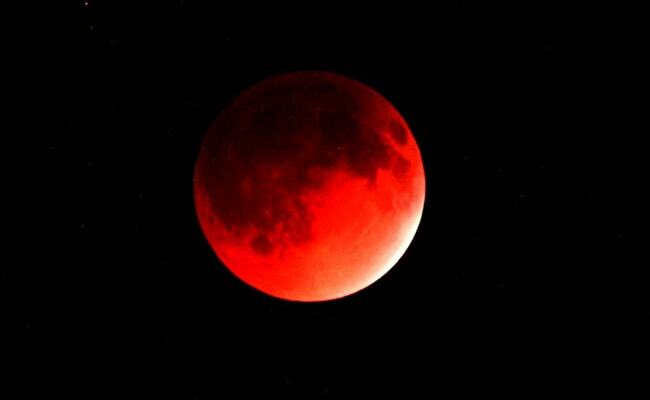 The moon will appear deep red in colour, also called the blood moon. Total Lunar Eclipse, also called Chandra Grahan, happens when Earth takes position in a straight line between the moon and sun. In total lunar eclipse the direct sunlight is completely blocked by the earth's shadow. The total phase of this lunar eclipse, also known as a 'Blood Moon'. The longest total lunar eclipse or Chandra Grahan in the century will be seen on July 27 night to early hours of July 28. The duration of the total lunar eclipse would be 103 minutes or 1 hour 43 minutes. The period of complete eclipse -- known as "totality", is the time when the moon appears darkest. 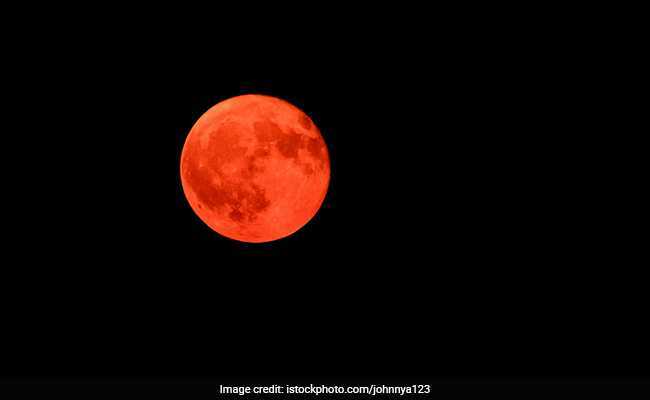 In India, the moon will appear reddish to deep red during 1 am to 2:43 am during the period of "totality" that begins on 28 July. (July 27 late night). At least two lunar eclipses happen every year. Lunar eclipses are safe to view without any eye protection or special precautions, as they are dimmer than the full Moon. Such long duration lunar eclipse will not be visible until 2123. All around the world, ancient cultures and religions have tried to explain eclipses like Surya Grahan and Chandra Grahan. Many of these stories involved gods, demons, dragons and other creatures. People prayed, made offerings or threw things into the sky. While some superstitions evolved, some died a natural death. The longest total lunar eclipse or in the century will be seen on July 27 night to early hours of July 28. Here are some of the popular superstitions around the world. Some are still followed. 1. A popular superstition in India is to avoid eating during Lunar Eclipse or Chandra Grahan. Cooking, eating and drinking are avoided during lunar eclipses in India as people are superstitious about food "going bad" during eclipses. 2. In the United States, a superstition that existed since long was that an eclipse is a "sign of an apocalypse". Some scholars say that it stems from the Bible. According to Joel 2:31: "The Sun will turn to darkness, and the Moon to blood before the great and dreadful day of the Lord comes." 3. In Tibet, people believe that good and bad deeds are multiplied ten-fold during a lunar eclipse. 4. A popular South African myth is that Sun and Moon fight during a lunar eclipse. People must pray so that these celestial bodies resolve their conflict. 5. In many parts of the world, pregnant women are advised to stay indoors. People believe that the "dark moon" will "curse" the unborn child. Women are also advised not to use knives and sharp objects during an eclipse as it may lead to birthmarks.